It’s World Water Day 2016! What exactly is World Water Day? I’m glad you asked. Well, if you’re reading this, you’re doing exactly what this day is intended for. More than 20 years ago, the United Nations determined that March 22nd would be an annual celebration intended to increase attention on water for human livelihood and development, and advocate for sustainable management for water resources globally. Thanks for celebrating with us! Understanding the importance of clean water for development is what drives change. Change happens when people like you act on that knowledge, and do something about it. So what do you need to know about water and development? For World Water Day 2016, Lifewater is pleased to provide you with our first annual WASH (Water Access, Sanitation, and Hygiene) Report. This report contains everything you need to know about WASH by incorporating global data on safe water needs and developments, and relevant and related information for sanitation and hygiene – all elements that, when combined, can drastically reduce water-borne diseases. Every 60 seconds a child succumbs to death instigated by water-borne diseases. Recent studies have shown that WASH, particularly handwashing with soap, can prevent a significant number of these deaths. 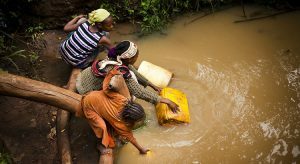 Currently, 663 million people in the world (9%) lack access to safe water, and 2.4 billion (32%) do not have improved sanitation. This is just the beginning. 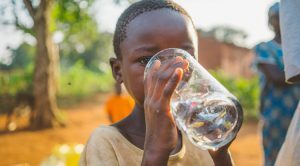 Find out more about how water, sanitation, and hygiene affect children, women, education, disease and national policies by downloading the full Lifewater WASH report. For nearly 40 years, Lifewater International has been driven by the simple vision that every child deserves sustainable access to safe water. We won’t stop working until every child has clean water. Join us.